Recently while preparing for a four-month long home remodeling project and possible out-of-state move [don’t ask] I found myself organizing and reviewing my wine collection. 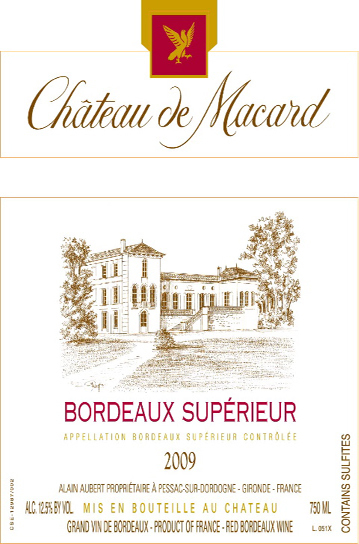 In doing so I discovered a couple of bottles of 2009 Chateau de Macard Bordeaux Superieur. A wine I discovered via WTSO [see story below] and have excitedly sold on and off depending on availability as the North Miami Wine Buyer for Whole Foods Market. As one thing leads to another, as they usually do at least for me, I looked up my original review on Whine and Cheers for Wine where I found multiple references. 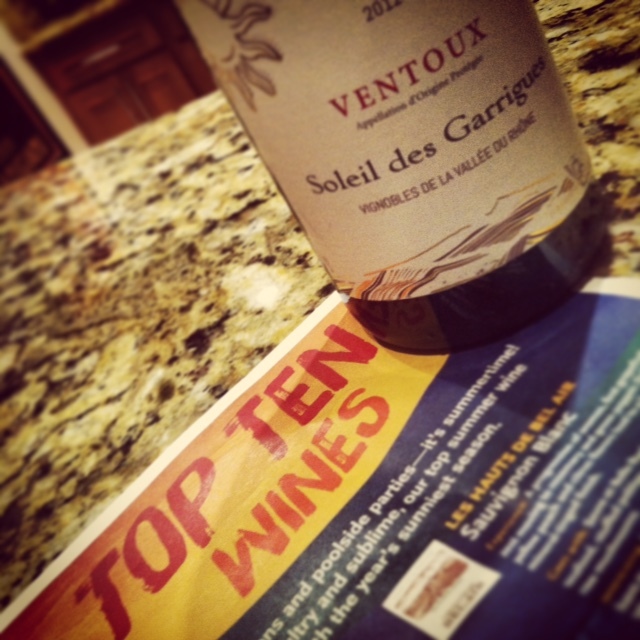 Not only did this wine make this sites Top 10 for 2013 and 2014 but I realized my review was dated February 2012! Hard to believe three and a half years had passed. After rereading my rantings I’ve decided to take my own advice: it will be interesting to see how the flavors develop over time. Or if they do. Assignment of the day! A 2015 re-tasting of the Chateau de Macard. On the nose; rich red fruit, alcohol [soon dissipated], oak, spice [vanilla], dark fruit [plum] and a mossy earthiness as it opened [5-10 minutes]. On the palate; medium body, red and dark fruit at forefront, great acidity, good tannin level and a nice mouth-feel. Over the next hour red cherry fruit and a red plum finish was noted along with spiciness [black pepper] as the wine softened but with tannin’s holding on. An hour and a half to two hours in, the wine continued to soften beautifully with floral notes, caramel, mocha and violet detected. The 2009 Chateau de Macard continues to blossom. In my notes I found the words beautiful and lovely used. Two descriptors not usually found in my vocabulary. I am so glad I had the perseverance or more likely the forgetfulness to save this wine for a future tasting. Lucky me! And Lucky you if you come by this wine. I have one bottle of the 2009 vintage left and a bottle of the 2012 for future scientific imbibing. Can’t wait to see what develops. ¡SALUD! Impressed by what I keep hearing about the 2009 Bordeaux vintage and the reputation of the winemaker, renowned Alain Aubert of Saint-Emilion estate Chateau Haut-Gravet, I purchased this through WTSO, Wines til Sold Out. At a price of $9.99 a bottle I thought it was a great deal and value. The way it works is that with a minimum order [4 in this example] you get free shipping, the regular or original retail price listed was $18.00. 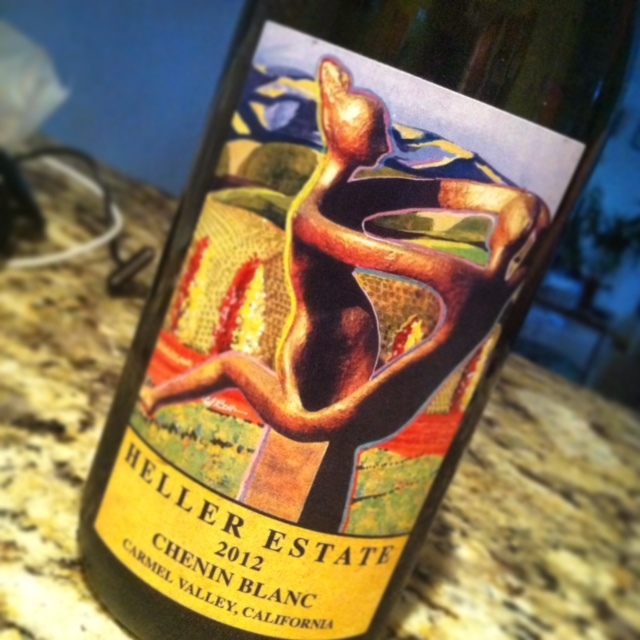 This particular wine received a 90 pt rating from Wine Spectator along with its Smart Buy designation. It was also featured on the Today Show during a segment; Tips For Choosing the Perfect Holiday Wine. Deep dark burgundy and purple in color this blend includes; Cabernet Franc, Cabernet Sauvignon, and Merlot. Upon decanting I detected dark fruit notes, a distant oak aroma and what I would describe as terroir or minerality. Tasting after decanting 1+ hours this wine added; tobacco and black cherry to the palate. Showing a good acidic balance this medium bodied Bordeaux value did not taste like a $10.00 bottle of wine. I am glad I have 3 additional bottles in my cellar [the guest room :)] because it will be interesting to see how the flavors develop over time. Or if they do. This is where willpower comes in handy…..
By Wine Spectator CHATEAU DE MACARD Bordeaux Superieur 2009 Score: 90 Country: France Region: Bordeaux Issue: Dec 31, 2010 Designation: Smart Buys Ripe and dense, but fresh, with silky-textured plum, blackberry and blueberry fruit carried by sweet spice and tobacco notes. The fleshy finish shows nice drive. Should open up more with brief cellaring. Cabernet Franc, Merlot and Cabernet Sauvignon. I originally wrote about this wine and the 2010 vintage about three years ago in my Grocery Store Wine series. I had discovered it in my role as a Wine Steward for a national grocery store chain and its Rothschild pedigree along with QPR [quality:price ratio] drew me in. When I became a Wine Buyer for Whole Foods Market, I was happy to see Los Vascos was an option for our set. At the end of this post I am including my original notes for the 2010 as we delve into the 2011 vintage. 2011 vintage: The viticultural year was once again characterized by very dry climatic conditions, but not as severe as 2010. Advanced techniques ensured very efficient irrigation of the vineyard, and the vines were able to fully express themselves. Due to a cold spring, yields were lower than usual, comparable with 2010 levels. This resulted in smaller bunches and smaller grapes, which in turn translated into excellent concentration and remarkable quality. It is interesting to me that the 2010 vintage is considered to be “comparable” to some degree to the 2011. For me the wines were very different. Maybe the varying use of irrigation was a factor and or even my changing palate. The Los Vascos 5,436 acre estate is 25 miles from the sea in a closed valley at the center of Chile. Mostly Cabernet Sauvignon is grown with small percentages of other varietals all estate bottled also included; Chardonnay, Carmenere, Syrah, Malbec. It is the largest vineyard in the Colchagua Valley and between 250,000-300,000 cases are produced of the Cabernet annually. That may explain the value factor of this wine: 3.5 million bottles. Luckily for us the quality is also there. On the lighter side of medium bodied. Nose of rich dark fruit and peppery spice; cedar, tobacco box. On the palate; fruit at the forefront with spice at the mid-palate and a finish of black cherry. Lighter than your typical California Cab, more old world than new, low tannins making it an easy drinker poured right at the bottle with decanting possible but not required. I recall the 2010 vintage as being a bit heartier but just as smooth. I can see why this wine continues to fly off our shelves on a weekly basis. The under $10.00 price tag draws you in but the quality and easy drink-ability keep you coming back. I am looking forward to future vintages. ¡SALUD! Bright ruby red color. Remarkably expressive with a fruity nose: aromas of blueberries, cherries, blackcurrants and raspberries blending perfectly with notes of pink pepper, paprika, curry and saffron. Velvety, full-bodied and seductive in the mouth with mild acidity and gentle tannins giving very pleasant mouthfeel. For a while now I have thought about reviewing and categorizing what I would consider “Grocery Store” wines. These would be wines that you happen to come across while doing your weekly shopping, advertised bargains [love those! ], non-advertised sales [love those even more! ], a bottle you may pick up on the way to a dinner party etc. Your standard variety wine which you can pretty much get anywhere; some people swear by them others avoid them like the plague. Luckily as the general wine drinking public expands their horizons so have grocery stores when considering the selections and variety they stock including some very nice higher end options. Of course location may define a Grocery Store wine but for the most part I will use this as a generalized term including everything from a two buck special to high-end wines which some people would never consider buying with their hard-earned $$. RULE: The wine must be available at a grocery store but with one caveat; I may go as far as including drug stores since their wine inventory is ever-increasing also. Los Vascos one of Chile’s oldest wine estates is managed by Domaines Barons de Rothschild [Lafite], who began a comprehensive modernization and investment program in 1988. The 560 hectare vineyard is located in the Cañeten valley of the Colchagua province which offers a pre-phylloxera Bordeaux rootstock. My notes: Color, a rich dark garnet. At opening and prior to officially decanting I detected a strong wood [oak] scent on the nose. Not overly strong but detectable up front with more dark fruit scents [plum, raisin] as it breathed. Interestingly enough as I describe the scent as “dark fruit” I also detected some strawberry on the nose so it may be more accurately described as a combination of both. Also noticeable on the nose was a distinct earthy, terroir, barnyard aroma that faded and somehow turned to a guava/fig scent as the wine opened over 30 minutes. As we began to sip and let the wine sit in our mouth I was very impressed with its smoothness. No heat or burn from alcohol. That is something to be said for a young mass-produced wine. On the palate I detected; the same fruits referenced on the nose with the addition of cherry and black pepper on the finish. The finish was solid but not overly lingering which balanced well with the overall smooth factor and drinkability of this wine. Grocery store retail price on this wine is about $12.50. Reasonable indeed if it were not on sale. Between manufacturer coupon and grocery in-store sale [in this case Winn-Dixie go figure] the price was somehow actually reduced to $4.85! As you can imagine the wine was a big hit but just as surprisingly I think the sale scared off some possible buyers because of its low price and the shoppers own perceived price:quality ratio. Unfortunately the sale price went up to $6.89 the following week but it is still selling well. At a $12.00 price range, even though it is reasonably priced, I am not sure I would go out of my way to buy this wine. I would think twice or consider other options, even after admitting that I rather enjoyed it. At $4.00-$7.00 the decision is easy; BUY IT! Sure hope that $4.85 offer comes around again. ¡Salud! There was a very dry period during the winter months (463 mm of rain compared to 726 mm the previous year), but carefully planned, controlled irrigation ensured a normal growth cycle. Low temperatures in the spring during flowering resulted in some flower abortion, and thus slightly less generous bunches of grapes. Production was reduced by 15% compared to the annual average (8.5 tons/ha vs. 10 tons/ha) but this resulted in greater concentration and remarkably well-balanced grapes. As March 17th 2015 approaches I am excited once again about the pairing challenge for cabbage, corned beef and the usual Saint Patrick’s day fare with wine. As you can see below Cóte du Rhône and Rose’ paired beautifully at our First Annual St. Patrick’s Day wine tasting a few years back. There is something to be said about good note taking because the years since are a blur. What did we drink? With the main dish checked off my list I can now concentrate on the important stuff, wine! As it slowly comes together my wine list, go figure, will start with cider. I have a delicious French, organic hard apple cider that I think will be a welcome addition to the mix, specially in Miami’s already 85+ degree weather. Next up a Rose’ Vihno Verde by Orlana from our Whole Foods Portugal Point of Origin program running now. This light and fruity wine with notes of strawberries and raspberries will be the perfect transition from the drier cider. Finally instead of a Grenache driven Cóte du Rhóne I am going to go with a 100% old vine Garnacha from the Calatayud region within Aragón, Spain. Evodia comes to mind. The low tannins yet spicy and fruity mix will add excitement to the celebration. St. Patrick’s Day meal and drinks are planned. What’s missing? I should probably start inviting guests! Part of me wishes it were being held today with all the talk of wonderful foods and beverages. But at least we have something to look forward to. I better get shopping! ¡SALUD! Food pairing can always be exciting, traumatizing or best a learning experience. I chalked this one up to an exciting learning experience. Thank the powers that be for the internet and well-informed wine rep’s or salespeople. Domaine Fontanyl Rose de Provence, Les Halos de Jupiter (Cambie) Côtes-du-Rhône 2009 [Grenache], Debeaune Morgon Belles Grives, 2009 [Beaujolais]. All three wines were easily attained through local retailers and were either a “featured wine” or an “employee recommendation”. More importantly all were less than $15.00 each. Unplanned was the fact that all 3 turned out to be French wines. Our original plan was to pick one varietal and go with it. But once in the store and intrigued by how each would taste with our main entrée it was decided we would pick one of each and have our very own First Annual St. Patrick’s Day wine tasting! I’m not sure our recently visited family members in Ireland would approve but they seemed to be pretty understanding when it came to drinking any type of beverage. Luckily for me and our party of 7 none of the wines was a bust. We had 2 standouts and one probably described as not robust enough to meld with all the different meal flavors involved. Not being a big “Rose” fan I was pleasantly surprised to see how well this dry Rose in particular paired with our meal. This easily could have been the winner of the evening with 6 out of 7 of the group favoring it but then came the mostly Grenache blend. This turned out to be the true hit of the night; robust, peppery with very nice fruit aromas on the nose such as strawberry. It was close but the 2009 Les Halos de Jupiter gets our Shamrock Trophy for 2012. I am looking forward to the next challenge, SALUD! 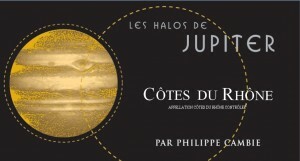 88-90 points Robert Parker: “An outrageous wine sourced from Visan, Cairanne and Rasteau is the 2009 Cotes du Rhone. Dominated by Grenache, it comes across like a mini-Chateauneuf du Pape. Its dark ruby/purple color is followed by boisterous kirsch, sandy, loamy soil, tobacco leaf, pepper and spice notes. Generously endowed, round, silky textured and explosively fruity, it is an enormously satisfying wine to drink over the next 3-4 years. (Oct 2010)”. France- Lively and fragrant, this beautiful Rose from Provence shows alluring aromas of ripe berries and dark flowers. The flavors of ripe strawberry and wild cherry are presented in a sophisticated manner that preserves the character of the fruit, but in a dry, straightforward style. As 2014 comes to a speedy end it is time to let the Whine and Cheers readers decide what the TOP wines of the year were for them. With close to 40,000 hits it’s interesting to see which wines are being researched the most. Even more compelling to me is where these searches are coming from. Listed below at the end of this post you’ll find the TOP 15 countries [out of 96!] where searches were initiated leading them to Whine and Cheers for Wine. For those wondering; Republic of Tanzania came in at number 16! As the drum-roll begins I have to admit that one post in particular wins the gold star for most hits all year-long. No matter the day, the week or the month, wine drinkers are intrigued and their attention peaked. The honor belongs to Australia’s 19 CRIMES Red Blend. Wonderfully marketed, its fan base continues to grow. For this TOP 10 wine list it will be exactly that, wines not themes. But it is intriguing to note that Beer with; My 12 Days of Beer Camp, along with Winemaker Visits B.R. Cohn Visits Whole Foods and Wine Clubs; Hit or Miss the Wall Street Journal Wine Club would have made the TOP 10 otherwise. So here we go…. The Whine and Cheers For Wine Top 10 of 2014 picked by the general wine researching public! Just as with the different countries visiting our site I am glad to see a nice variety of wines and varietals represented on this TOP list: Argentina, Napa, California, Spain, Bordeaux, Chile, South Africa and Australia. No real common denominator other than the fact they were all found here by you along with others from around the globe. Our world being brought together one wine at a time….. ¡SALUD!